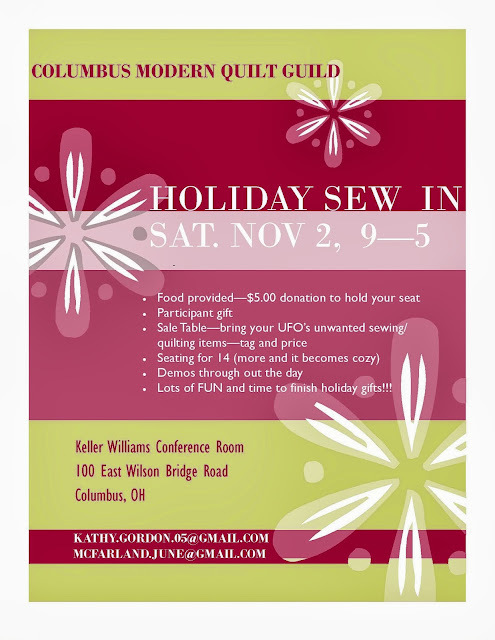 Columbus Modern Quilters: Holiday Sew In! To attend the sew-in, November 2 from 9-5 pm -- please bring $5 to the October meeting so organizers can purchase food! Lots of FUN and time to finish holiday gifts!! !